This is a really lovely property. It is so comfortable and very well equipped. Well done! We stayed in the Dairy Barn for 3 nights during our holiday to Isle of Wight, the property is very spacious and tastefully decorated throughout, check in was very smooth and Sally was very helpful. Would recommend it to anyone who is considering visiting Isle of Wight. Very well equipped, in a lovely rural spot, but not far to go to Ventnor and Shanklin. We have never been to such a well equipped, and well maintained, self-catering property. The only thing missing was a wok, everything else you can think of was provided. The whole property has been completed to a very high standard. It is in a lovely rural setting, on a working farm, mostly Highland cattle. 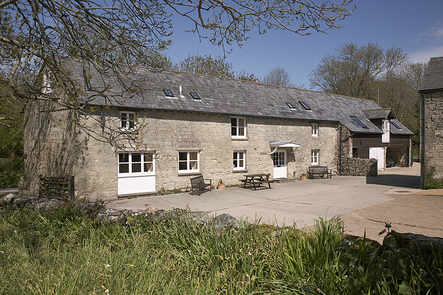 The converted barn contained just the right accommodation that we were looking for, and we highly recommend it. We enjoyed a fabulous week in this excellent accommodation. A beautiful rural location, fabulous walks from the doorstep with lots to see. A warm, friendly welcome on arrival got us off to a great start. We loved it! This is a fantastic place to stay. We felt right at home and being visited by the Manager and the owner, they were both very personable and gave us tips on where to visit. We were provided with tea, coffee and milk and what was a bonus was the homemade scones and jam.The property itself felt like it was brand new, because of the freshness, paint and decor. It had that old world charm that you would expect from a farmhouse, but nothing was tired and dated. It was roomy, beds were so comfortable and we had everything you could ask for. We would love to stay there again. I thought it was real value for money. Hearing the cows moo in the morning made you feel glad to see a new day in this fantastic property. We sat every morning and every evening in the courtyard. My only criticism was that there were no sun loungers as sitting on the wooden bench for a while was a bit uncomfortable. I would reccommend this property to all . The Barn is first class, comfortable and very welcoming. Very well equipped and in such a beautiful setting. Will certainly return. Fabulous. From the friendly & personal welcome to the soft furnishings, The Dairy Barn is lovely, even better than the photographs. It was just perfect for a Christmas get together ! It was spacious and luxurious. It's a beautifully furnished and clean residence and they went further by decorrating it.for Christmas and providing a decorated tree too which was so kind as we had all traveled from different parts of the Uk and Japan .Help and Support was at hand very promptly. Created some lovely memories and we can't thank you enough . We would love to come back in the Summer. What a stunningly beautiful property, decorated to a high standard. Sally made us very welcome, with lots of lovely extras. Michael & Carolyn also made us feel home away from home. We would definately recommend the boat trip, fantastic views of this coastline and lots of fascinating stories on the way. Cheetah Catamaran- YES DO IT! We shall definately come back & recommend to friends and family. Thank you so much. LOvely stay in a lovely house. Sally was so very nice, as was Michael and the weather. Thanks for the great stay- absolutely love it. Hope to be back in the future. Brilliant holiday due to fantastic accommodation and fabulous weather. Thank you Sally for a really warm welcome. We will be back as we loved it here. Excellent accommodation. You have thought of every little thing. Glorious sunshine on top. Marvellous stay, great location, beautiful weather. Barn magnificent. We will return! Brilliant. Lovely stay. Would love to come back. Great to be back for the 5th time. Shame the weather wasn't better, but The Dairy Barn is so comfortable its ok. This should have a 6* rating. This is a fantastic place to stay. We felt right at home and being visited by the manager and the owner, they were both very personable and gave us tips on where to visit. We were provided with tea,coffee,milk and what was a bonus was the homemade scones and jam. The property itself felt like it was brand new, because of the freshness, paint and decor. It has that old world charm that you would expect from a farmhouse, but nothing was tired and dated. It was roomy, beds were so comfortable and we had everything we could ask for. We would love to stay there again. I thought it was real value for money. Hearing the cows moo in the morning made you feel glad to see a new day in this fantastic property. We sat every morning and every evening in the courtyard. I would recommend this property to all. The barn is first class, comfortable and very welcoming. Very well equipped and in such a beautiful setting. We will certainly return. It was just perfect for a Christmas get together. It was spacious and luxurious. It is a beautifully furnished and clean residence and they went further by decorating it for Christmas and providing a decorated tree too, which was so kind as we had all travelled from different parts of the UK and Japan. Help and support was at hand very promptly. Created some lovely memories and we can't thank you enough. We would love to come back in the summer. Another fantastic visit to Dairy Barn. Wonderful accomodation. Look forward to returning again. Fantastic short break on IW. Dairy Barn beautiful. Everything a group of oldies could want- and more. "BETTER THAN THE RITZ! quite one of the best holiday cottages we have stayed in. Exceptionally well appointed & a perfect location. Memorable holiday & staff.. Wonderful extremely well equipped. Fully deserves 5* rating. Excellent accomodation. First family holiday to the Isle of Wight and could not have done better. Many thanks to Sally for the warm welcome and for the thoughtful goodies provided. We would certainly recommend Dairy Barn. A lovely cottage with very helpful obliging staff. Sally & Silas have been excellent giving us a great tourof the farm. Great house. A lovely barn & very comfortable too. Our first trip to the Isle of Wight. Very memorable for all the right reasons. Thank you. An amazing place to stay. So homely. We've had a really lovely time here. Thank you. Thanks to Sally. Very spacious and well appointed. Enjoyed our stay. Ideally located. As below. Fabulous cottage - attention to detail & design want for nothing. The place to stay. Thanks to Sally for a lovely welcome. Pensioners, siblings on annual bonding trip, found this to be the perfect location. Thoughtful and courteous hosts, great comfort and every convienience. At least 5 stars. Thank you - All we needed for a very pleasent stay.- We will be back. Part of Anita Gaylers 60th birthday celebrations. Stewarts of Guildford & Southampton. Cherrett & Odds families... Hampshire & Kent. Thank you for such a wonderful home for our first trip to the Isle of Wight and to celebrate my dad's 60th. Fantastic accomodation. - We'll be back! Former jockey to the Queen Mother. There are few places in life that will stay with you forever. This is one of them. What a special treat to stay in this stunning setting. The highland cow safari was a favourite. Thank you all so much. What a fabulous place to stay. I loved the cattle. Great company. Lovely cottage so comfortable and well equipped. We have been blessed with sunny mornings everyday. Recommend donkey sanctuary up the road. All feel very rested. Thank you. Many times on the Island. 4th visit to Dairy Barn. Loved it as always. Looking forward to the next time. It was our second visit to the Isle of Wight and first visit to The dairy Barn. It is an amazing place and I would love to come back. Absolutely fabulous .Had a wonderful time. We will be back. Our 4th visit. Once again we have had a wonderful time. Home from home! We will be back again. Had a lovely stay in this beautiful cottage. I am sure we will come again. An absolutely lovely base for a perfect birthday holiday break. Thank you so much. A lovely Christmas. Wonderful farm experience. We liked feeling part of a working farm. Look forward to returning some point in the future. Absolutely fab house.Everything we needed was catered for.. Had a fantastic trip to the IOW and will be back again. This cottage ticks all the boxes. Silas showed us around the farm. We will be back, we loved it. Great stay. Another perfect holiday. Thanks for everything Sally, the place is amazing. Can definately recommend eating at The Star. Food was really good for the price. We love the house and will be back. Tres beau gite. Comfortable avec fantome dans le plander. Merci pour le sejoui. A beautiful cottage, so clean and well equipped and positively luxurious. We had a wonderful weekend. Thompson's & Cole's & Peter. Do hope we can come back. What can we say! David has put it in a nutshell.. below. But us 5 oldies have had 8 holidays together and this has been the most perfect accomodation ever. Faultless. Even sally was perfect. Congratulations, Mr Poland. Lovely place to stay. Brilliant week end away. Weather very sunny most of the time. Some great walks. Home from home, well equipped home, with all the comforts of my own home. Clean tidy and a kitchen which was a pleasure to cook in. Wonderfully comfortable home- A really lovely New Year break. Thank you so much. Thank you sally. Our 3rd visit was just as wonderful as our last 2 visits. First visit to the Island- loved it. Perfect house, weather & location. Excellent holiday. Most idyllic- magnificently elegant in its every refined detail. We picked the perfect place to stay & the perfect weather. An excellent holiday. Grandma, Daughter, Grandaughter & Boyfriend. Having celebrated my 91st birthday at Dairy Barn, I must say, that it was my happiest ever. Sorry that I didn't meet you in person Sally but I must tell you how perfect your " housekeeping " is. We constantly said....." they have thought of everything"---. During Sunday before going out for my celebratory meal, I needed to wash some crockery, but thought about splashing my dress--- wished I had a pinney.... then thought" they have thought of everything" but surely not a pinney. There in the cupboard was a brand new pinafore!! You are incredible. Having spent 20 years on the Island, never before have I found it such a wonderful place to be. Fantastic house. Very well equipped. Perfect week. We didn't want to leave. Perfect honeymoon!! Thank you. Hurd Family. Sussex and USA. Very comfortable stay during and after wedding in Bembridge .Dairy Barn has everything anyone could possibly want- one of the very best. So peaceful and relaxing. Thank you too to sally. Great stay with some lovely footpaths and we particularly appreciated Sally's hospitility. Thank you. Fantastic cottage- Definately one of the very best we have stayed in.- Sally is a star. Throughly recommend The Essex at Godshill, But do book. Wonderful week. Great accomodation. fabulous setting. Many thanks we all had a throughly relaxing week. Lovely stay during and after family wedding at Appuldurcombe. Perfect venue, weekend, relaxing retreat. Thank you.... Loved the story of Warrior. Excellent accomodation. Deserving of the 5* award. Thanks to Sally for being so helpful. We'llbe back. Our first time on the Isle of Wight, many times before in other parts of England. We enjoyed the Island, the countryside and again the people. The cottage was in a word- Perfect. Wonderful as usual. Will be back deffo! This is our 3rd visit. We have once again very much enjoyed the Island, even in February! and this excellent accomodation. Lovely Christmas decorations & New Year walks. Our 9th stay here! Lovely weather this year. A very cosy Xmas. Thank ou for the Xmas decorations. We look forward to coming back next year. Amazing people & place!!! We will be back for certain. Thank you for the most beautiful stay, in the most perfect cottage. We look forward to coming back one day. The house is perfect thank you. Great location for exploring the island & we have had beautiful weather which was a bonus. Will definately be back. Thank you. Perfect in every respect. Really lovely relaxing weekend. Memorable- our 5th visit this year. Thank you Sally & Rob for your help in arranging our home from home, for the family wedding. The cottage has been just the base we needed & despite the weather a wonderful wedding. Fiona, Stuart, Ellie & Nathan. Blessed with wonderful weather. Excellent accomodation. Great place to stay. Came here to work, wish my office was like this! Thanks for a wonderful stay - Loved all the fresh flowers. Thank you dearest sally, we've had a blast! Amazing weather - we've found our base. Wonderful house, loved the cows and calves. Very restful all in all a perfect place. Lovely accomodation and IW is beautiful. Wonderful stay- so peaceful and beautiful. Ed loved the calves!! Great week of sunshine, sand & seafood. Can't wait to come again. Superbly spacious, comfortable and well equipped holiday home. Sunshine route to Shanklin- lovely flat walk. Excellent meal at The Taverners Godshill. What a lovely house & so nice for all the bedrooms to be large with ensuites. Lovely peaceful setting, will reccomend to all! Another wonderful week at Dairy Barn. What a perfect holiday retreat it is. Thank you as always Sally for everything. We didn't want to leave the house. Really comfortable. Great showers and facilities. Definately will return. Thanks for the recommendations. Thank you once again for a lovely week. Another excellent week, Dairy Barn is an excellent base. Certainly warmer than our visit the same time last year! Even enjoyed a picnic in the sun at Carisbrooke Castle, as well as walks on the beach. Thank you once again for a lovely weekend. Many thanks for the stay in this beautiful house. We have enjoyed the Island & lovely walks around the farm. Out 8th stay here. Have enjoyed Xmas here despite the windy wet weather. Dairy Barn is lovely & we look forward to coming back next year. Nina, Paul, Zoe & Richard. Lovely as usual, shame about the usual rain! Enjoyed seeing the bull and chasing the cows with Barry. Just what the Doctor ordered!! comfortable surroundings, fantastic walks and views. Fabulous weather. Sorry to say goodbye, but hope to come back soon. Thank you. A relaxing stay in this fabulous barn,peaceful surroundings, lovely weather, apart from one day,,,, but this allowed us to light the fire. We all had a great time. Wonderful week at the barn with the family, good weather and lovely well stocked barn. Our second visit to Dairy Barn, and after four years very little has changed! wonderfully comfortable and well equipped! The weather has been very good and we've had an excellent holiday. Thank you sally for looking after us. With tempratures everyday above 30oC. Picturesque barn and setting, a fabulous holiday. Many thanks. Had a wonderful time once again. Thank you. Awesome cottage,great location next to the downs. lovely touches, chocolates & shortbreads. Will highly recommend to friends. If you are away for the coldest Easter in many years Dairy Barn is the best place to spend it. Ice cold weather, lovely walks, cosy cottage with warm log fire what more could you want? we've had a wonderful weekend break, Many thanks. Our 7th stay here! Another lovely Christmas at Dairy Barn, Probably the wettest we have had, but we all had a good time. Looking forward to coming back next year! Thank you Sally for looking after us. Beautiful Barn in a lovely setting, great walks just outside your front door, we have all had a great time. Lovely converted barn in a quiet and picturesque setting. I would recommend the fossil hunting and Osborne House. Look forward to visiting again. thank you Shane for the farm tour. An absolutely beautiful cottage, weve had a wonderful time and will be back soon. A wonderful week, super house, great location, good walks, trips to Compton Bay & Cowes, supper in The Four seasons local pub. Thank you sally- and also barry for the farm tour, we will definately return. Gerretsen family Amsterdam. August 2012. Great place, peaceful, comfortable, very good appliances, comfy beds. We had a great time. Osborne House amazing. Faas family USA July 2012. We had a lovely restful week despite the weather!! Very peaceful with fantastic walks on your doorstep- Thanks very much. Lovely place! We both had a great time. Thanks Sally. Trip with Barry around the farm fantastic- thanks. Dairy Barn wonderful. Lesley, Adrian, Roberta & Chris. Wonderful welcome, Dairy barn 1st class in everyway. Great holiday. Lilian, Richard & Gary. Coventry. Our first time here- what an impressive holiday home! we have thoroughly enjoyed our stay. We lasted only 6 weeks & we're back! I can't emphasise enough how beautiful this home from home is and how incredible Sally is. Thank you. C & O and this time D ! May 2012. We have completed a circuit of the Islands coastal path. After a long walk, the sight of the warm comfortable and delightful Dairy Barn was most welcome! Very many thanks. Loved the accomodation, a wet day was a pleasure not a trial. Especially liked the cows and calves. Good for walks and the views from the downs superb. FANTASTIC PLACE Thanks Sally. Matt & Christine Kent Easter 2012. A marvellous break in this beautiful barn in the most wonderful surroundings. we will be back without fail. Very many thanks to Sally Barry and Shane a great team. OMG a barn!? next life, a Cow. Ab Fab squatting a serious possibility. Wonderful- great wildlife & take care of my baby calf! Jenny and friends. March 2012. I am seriously considering squatting!! I am extraordinarily hard to impress- ut you have blown my socks off! What a stunning property.- Sally = an angel. Thanks. We have enjoyed all the comforts on offer, a wonderful retreat from the mist and rain . New Year 2011/12 Smith Durham. Our 6th stay here! we've had another lovely christmas. Looking forward to coming back again next year. B family. Kent Christmas 2011. A great weekend break. Breakfast in the sun in Shanklin followed by several beautiful walks with stunning views. Many thanks for a great wk end. MB and family. Nov 2011. Great week, great cottage, thank you very much, really enjoyed the ride up to see the cattle. Immaculate cottage superbly presented- thanks Sally. We have enjoyed the peaceful location and the weather has been a bonus. We'll be back. We have had a wonderful week. The cottage was clean, very spacious & comfortable, we loved it, even cooked on the aga one night. Sally was very friendly and helpful, thank you for having us. Gorgeous farm, ideal peaceful holiday. Sally the host was so lovely and we wish we could of stayed longer. We've really enjoyed our holiday, the location is fabulous- great views over Luccombe Down. Dairy Barn is so comfortable- we love the kitchen. many thanks we'd love to come again. Another lovely holiday our 2nd visit. The cottage is so relaxing and as always it was fab to see the cattle. Thanks to Sally, Barry & Shane for making us feel so welcome, it feels almost like a second home! We thoroughly enjoyed our week at beautiful Dairy Barn. Now moving on to London, a little too soon. Lovely barn conversion with lots of space for relaxing and a great base. Another hugely enjoyable stay in spite of inclement weather. Special thanks to Sally for making us feel so welcome and Barry & Shane for showing us the cattle and telling us all about them. we have family locally and everyone loves the Barn!! superb accomodation. Sunshine was a bonus. A fabulous weekend in a wonderful cottage- log burner a definate highlight. Feeling very relaxed & almost ready to return to city living. Weather wonderful, very comfortable accomodation. Fantastic.... house,views,location. Its been wonderful, would love to come back. it felt like home straight away. Rest and recreation- no place better than Dairy Barn. Walks galore,beaches few minutes away. We have loved every minute here. Our 5th stay here! Another lovely christmas at Dairy Barn, lovely & cosy just right at christmas. Looking forward to coming back again. We have had another lovely peaceful holiday here. Thank you again for a wonderful warm welcome. We have enjoyed a happy stay at Dairy Barn and thank you for all the thought that has gone into making the accomodation so comfortable. Our farm tour with Barry really was a highlight of our visit, the Highland cows are so appealing. We had a wonderful stay! very comfortable- all our needs catered for. Its worth the climb up the hill to admire the views. A fabulous cottage in a great location. Another lovely week in this fantastic cottage. Thanks to Sally for everything. 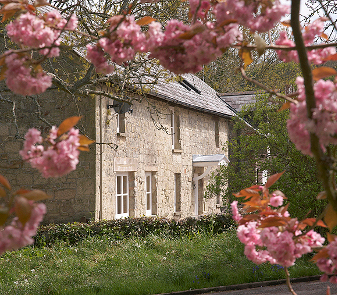 A marvellous holiday cottage in a very peaceful part of the world. We all had a great time. Thank you for such a warm welcome. A fantastic holiday, thoroughly enjoyed the scenery & loved the cottage. Many thanks to Barry & Shane for showing us around the farm, fell in love with the cows. I will really miss this place. What a marvellous cottage. Top class no doubt about that. We've enjoyed every minute of our visit, hope to see you again soon. Obviously much thought has gone into organising Dairy Barn and this and its cleanliness, is much appreciated. Also enjoyed the space- would definately return. Sue, Sylvia, & The Raynes Pair! Herts. We've all decided we need to live here- Thank You. Weve had a lovely break. Simon, Debs & Olga, London. Our fourth stay at Dairy Barn and as delightful and relaxing as always, a lovely place to stay and explore from. Thank you.